This year I introduced an occasional feature I call “Throwback Thursday.” This is where I find a blog post from the past–raiding either my own vault or someone else’s–and throw it back out into the digital world. This might be an idea or book that is now relevant again, or a concept I’d like to think about more, or even “an oldie but a goodie” that I think needs a bit of spin time. This is a rewriting of a post from three or four years ago. I had really intended to have an amazing birthday post, at that time his “Eleventy-Sixth” birthday. 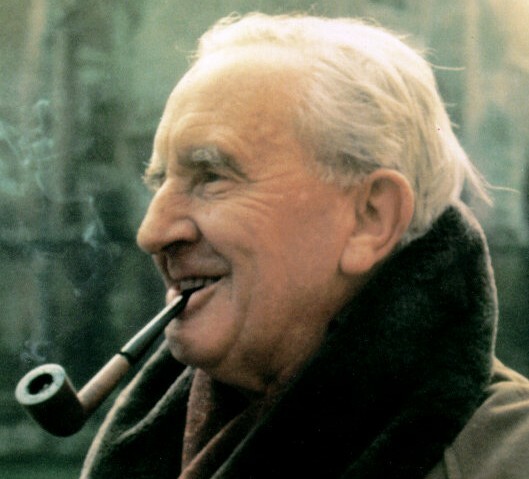 The Hobbitish “eleventy” no longer works as today in 2018 is the 120th anniversary of Lewis’ birth. Still, as scientists, poets, and lovers tell us, failure can often be instructive, and I hope that this little post brightens your day. On the occasion of C.S. Lewis’ 120th birthday, I thought I would ask how this intrepid author and academic spent his special day? It is great question. It was my goal to sit down and share some of the things that came out C.S. Lewis’ birthday letters. After all, think of the wonderful way that a person could spend birthdays in celebration or with friends and family. And we should be able to figure it out with some accuracy. We have by my rough count about 3274 letters published, plus a few that have emerged since publication. Most of these—about 79%–he writes during his public career, 1939-1963. In the 2600 letters of that quarter century, a little over a hundred a year, we should expect at least a few letters that he sat down and wrote on his birthday. In fact, we have none. That’s right: in the entire period of C.S. Lewis’ career as a public intellectual, and in thousands of letters he wrote to friends, publishers, editors, family, critics and fans, none of them were written on his birthday. Even if we expand the search to all of C.S. Lewis’ letters, we have no certainty that any of them were written on his birthday. 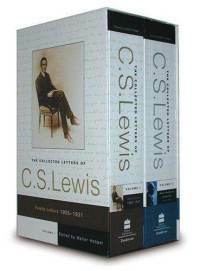 There are two letters, though, that may be written on his birthday—at least, that is the best guess of the editors of Lewis’ letters. As it turns out, on his 18th birthday he was still not in active service, despite the fact that WWI was at its height. He was preparing for an Oxford scholarship exam. He writes to Arthur on or around his 18th birthday, but there is no word of war. Instead, his mind is on the “damnable exam,” and talked mostly about books and girls. In a chatty letter, he references Emily Bronte, Jane Austen, and Yeats, and recommends Nathaniel Hawthorne’s The House of the Seven Gables and Sir Walter Scott’s The Tales of a Grandfather. It is a letter full of inside jokes and teenage literary criticism. By the next birthday, his whole life has changed. Although he won a scholarship to University College, it was his time to go to war. In 1917 he began training as an infantryman, and C.S. Lewis crossed over to France on Nov 17th. On Nov 21st, Lewis writes to his father a note, ensuring him there is no need to worry. 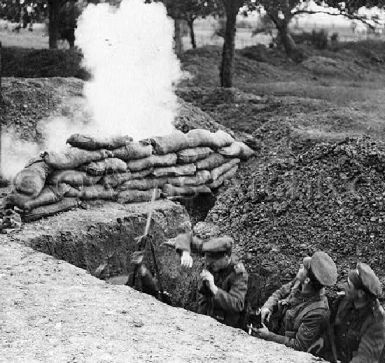 Then, on his 19th birthday, Nov 29th, 1917, Lewis is on the front line, the trenches of France. 1918 was an eventful year. By the time of his 20th birthday, he has been sick from trench fever, wounded seriously in war, and has had his first book of poetry accepted for publication. Most important of all, the war ended with the armistice agreement on Nov 11, 1918, and the threat of war no longer loomed over the young scholar. He was able to return to Oxford and begin his career. Many thanks for your letter. My own long silence has the cause (I wish it were also the excuse) which you suggest. I have got my evenings nearly full up this term. On Monday nights I entertain as many of my own pupils and other undergraduates as care to come and join in the reading of an Elizabethan play: I was driven to institute this because I saw no other way of persuading them to get through the enormous number of plays they are supposed to read (I am often tempted to curse the fertility of our Elizabethans). On Wednesdays some of the junior pupils come to read Anglo-Saxon with me. The actual work is usually done by half past ten: but they are comfortably by the fire and like to sit on and talk–and after all, it is part of ones job to get to know them–so that evening is usually full up till midnight. Then there are functions which occur fortnightly: the Kolbitar or Icelandic Society, and a fortnightly philosophical supper with Hardie and some others. None of these engagements is onerous in itself, indeed they are all agreeable: but when you add to them the inevitable interchange of invitations to dinner, an occasional visit, and an odd night when one is tired and goes to bed early, it leaves few evenings free in term time. My mornings are of course occupied with tutoring or preparation for it: and even my afternoons are sometimes invaded by a college meeting. a meeting of the Tutorial Board, or a meeting of the English Faculty. This is not to say that I am overworked: a labourer or a tram driver might justly describe all that I have enumerated as a round of strenuous idleness. But if I am as free as any man can hope to be from ‘work’ in the original and proper sense of drudgery (the curse of Adam), in revenge, I have as little leisure, in the sense of vacant time, as I can well have. The rest of the letter is mostly about college politics. What is interesting, though, is that Lewis’ Anglo-Saxon evenings became the popular—or infamous—“Beer and Beowulf” nights. And the Kolbitar meeting, the Icelandic Society, was J.R.R. Tolkien’s group. The Kolbitar, literally, “coal biters,” eventually became the Inklings, the literary society that encouraged both Lewis and Tolkien in their work. And that’s it. Of nearly 4000 letters, two are possibly written on his birthday. And these may only be from that period around his birthday. This is a suspicious anomaly. What does it mean? I was hoping I would come up with a grand conspiracy of some kind. C.S. Lewis’ birthday letters were suppressed, perhaps. But I’m afraid that the answer is most probably more mundane, and comes down to two principle reasons. The first reason is one of simple time management. 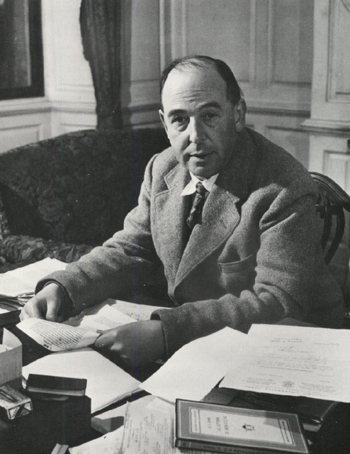 Lewis’ birthday falls in the Michaelmas term, and he was often busy lecturing and marking papers. Academics know how little extra work happens until those final exams are marked before Christmas, and C.S. Lewis was probably no exception. “it is an essential of the happy life that a man would have almost no mail and never dread the postman’s knock” (Surprised by Joy, 143). Why don’t we have letters from Lewis’ birthday? I think he probably took the day off. By all accounts he did other work on that day—you can check out Joel Heck’s chronology for the details. But he didn’t write letters if he could at all help it. So, while this sort of ruins my post on C.S. Lewis’ 120th birthday, it is an intriguing discovery. What would Lewis want most on his birthday? One year I suggested that he would like us to stop celebrating his birthday. But I suspect, most of all, he would want the postman to leave him alone. I suppose he has gotten his wish. 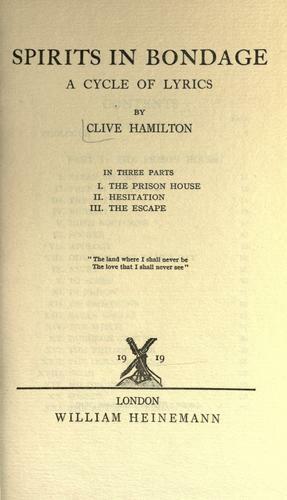 This entry was posted in Lewis Biography, Reflections and tagged 120th Birthday, birthday, C.S. Lewis, Emily Bronte, J.R.R. Tolkien, Jane Austen, Public Intellectual, Sir Walter Scott, writing, WWI. Bookmark the permalink. I think that’s largely what an English degree should involve — though, ironically, Lewis is writing with someone who hasn’t yet -begun- a degree in mind; by the 1960s, that list would have been approximately, what a good university asked of students preparing for their bachelor’s exams; by the 1980s, what they might be asked to know before writing their master’s exams; and today, I suppose, most holders of new doctoral degrees will have read only spottily from the list. That is a great loss. If the list is open to criticism, it’s not that it suggests authors who should be left out, but leaves out some, notably Jane Austen. To Dale Nelson: The list from Lewis’s note to Reed does include Jane Austen–“Shelley, Jane Austen, Lamb” (as quoted)–contrary to your statement. I think it odd not to include George Herbert, for example, but perhaps Lewis is listing just those that could be covered on tutoring and examinations. Some fairly good 18th century novelists are omitted also–Smollett, for example–and a number of dramatists. Yes — thank you, Dr. Christopher. I don’t know how I overlooked Jane Austen’s name. George Herbert might be absent as being not a “long author,” but then would there have been more of Thomson than The Seasons and the first canto of The Castle of Indolence that one should be sure to read? And, yes — Defoe &c. The most surprising omission might be that of Blake. I imagine that, after knowing Kathleen Raine, Lewis would not have left out Blake. That last quotation captures perfectly my feelings, every time my internet service provider upgrades their spam filters.